Klara has been helping organizations and individuals learn for over 15 years. As a certified executive coach and an internationally recognized expert in adult learning and leadership development, she’s led learning initiatives in corporates, non-profits and higher-education institutions around the world. 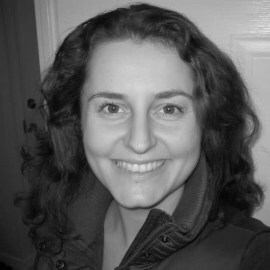 Before joining AMI, Klara founded Khwela Learning, a training company based in South Africa that focuses on developing middle managers, and was Chief Learning Officer at African Leadership University, where she was responsible for leading the university’s new approach to learning and curriculum development. Prior to this, Klara was the global Dean of Organizational Learning at McKinsey & Company, where she was responsible for curriculum development for key leadership development programmes, being lead faculty on these programmes, the training of McKinsey’s facilitators, the development of capability building and transformation programmes at global clients, and the continuous improvement of McKinsey’s global training offering.